Give your complexion a radiant flush of colour with the Benefit cheek stain collection, a selection of iconic formulas that will give both your skin and lips a healthy, natural glow. Back in 1977, one of Benefit’s first-ever products was a cheek stain named ‘Rose Tint’. 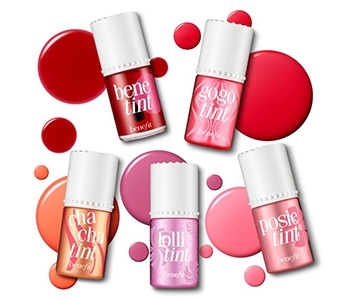 Nowadays, Benefit’s versatile cheek stain line-up has expanded and is brimming with award-winning, coveted formulas. Thanks to the Benefit cheek stain range you can now achieve both subtle and dramatic looks in an instant. Whether you prefer a subtle wash of colour or vibrant intensity, Benefit’s cheek stain range has a shade that’s perfect for you and your complexion.